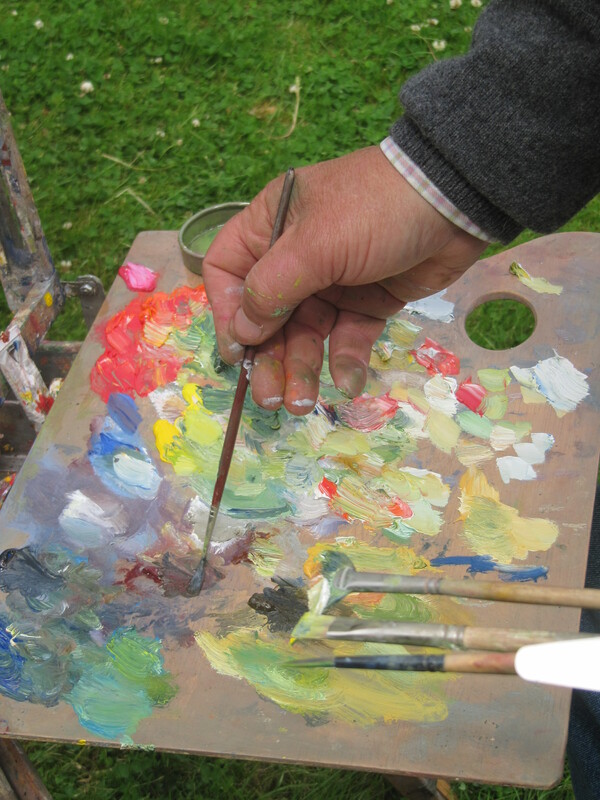 What can we tell from an artist’s palette? 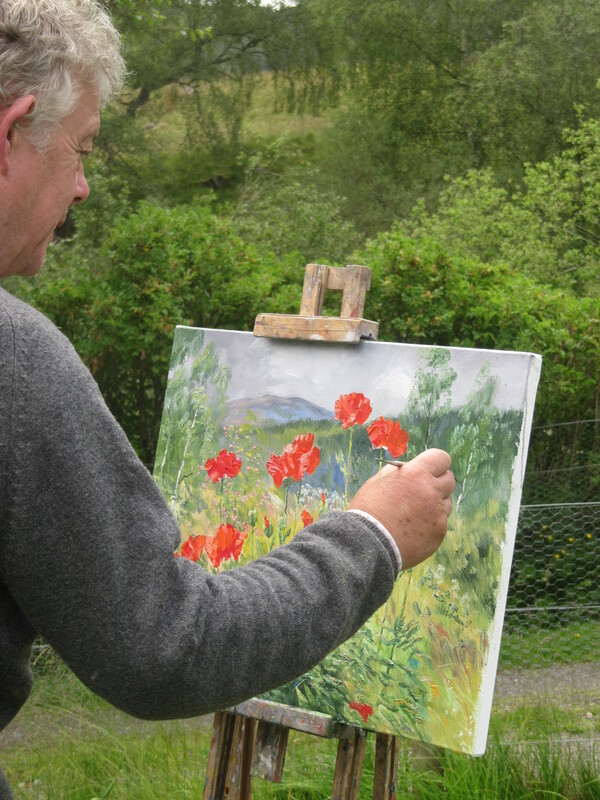 Artists have a gift; they transform their own experience of a place, time or a moment and capture it on a canvas to provide an image to be seen, felt, enjoyed and to hold the viewer in an intoxicating embrace. Often the final image is all that we see and the process of how the image was harnessed by the artist is forgotten. The colour choice, the tones and the method left behind; just as when we sit down to a good and satisfying meal, we forget the artistic talent the chef has displayed in the kitchen to achieve such delights. 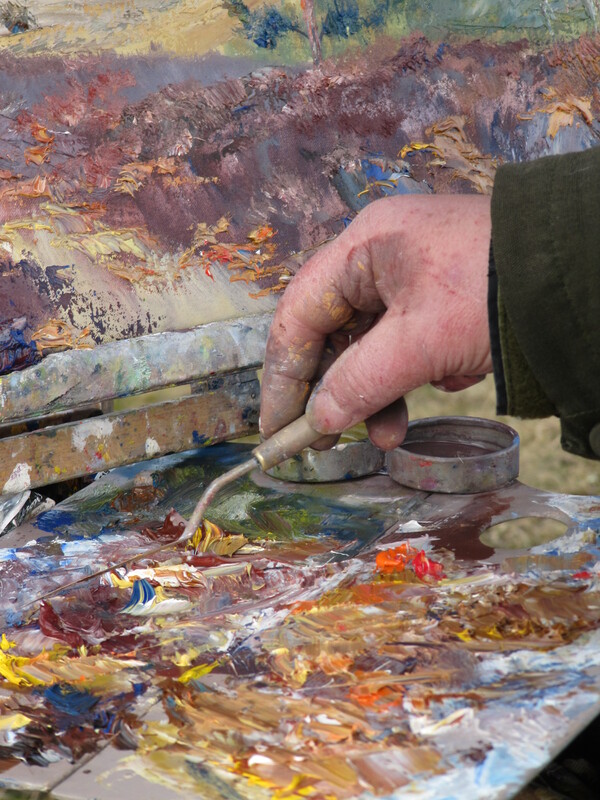 An artists palette tells such a wonderful story; the palette becomes evidence of the artists journey. 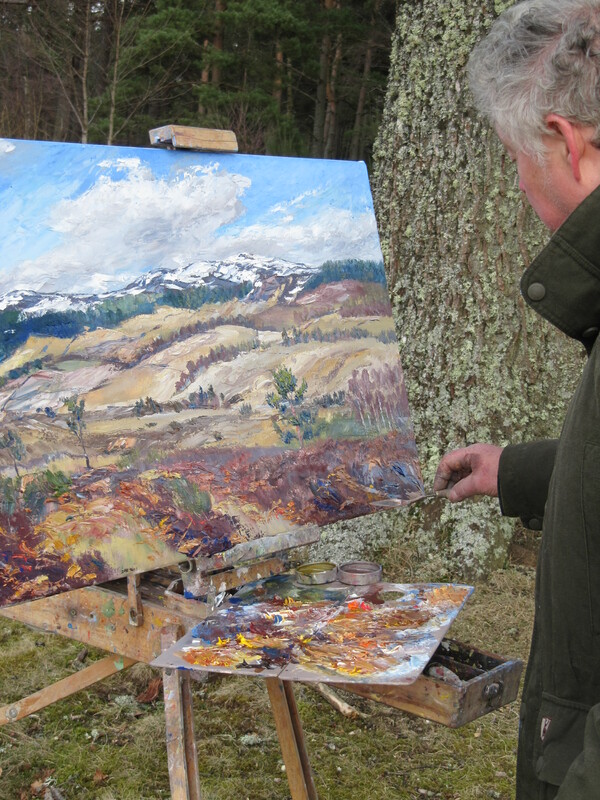 A process of creating an image to encapsulate a moment; so the choice of colour is of paramount importance and often will help to create the feelings born by the viewer, that will transcend through time, long after the paintings completion. Colour plays an enormous role in how we express ourselves and our emotions and is an essential tool for an artist; if used correctly it can evoke presence in a painting and provide a window for the viewer into the artists soul. While composing a piece, an artist is daring to show parts of themselves, expose themselves and show their individuality, allowing themselves to be judged, critiqued and respected by their audience and peers. The palettes shown in Schaller’s photographs are a mix of dark to the bold and bright, the photographs also show whether the artist was organised and methodical in their palette layout or more free handed. Not surprisingly we can see that Van Gogh’s palette was rich in bright colours and is full of broad strokes, while Eugene Delacroix’s palette is more muted and methodical. This is perhaps a hint of how artists minds work to achieve their masterpieces for us all to behold! So what can we tell from Howard’s palette?